Painted in 1468, Saint Michael Triumphant over the Devil is the first documented work by Bartolomé Bermejo (c. 1440–c. 1501), a 15th-century Spanish artist by whom only about 20 paintings are known. Acquired by the National Gallery in 1995, the painting depicts the Archangel Michael defeating Satan, in the form of a hybrid monster, with Antoni Joan, feudal lord of Tous, kneeling nearby. The work is remarkable for its mastery of the oil-painting technique, influenced by Netherlandish painting and unrivaled by Bermejo’s contemporaries in Spain. 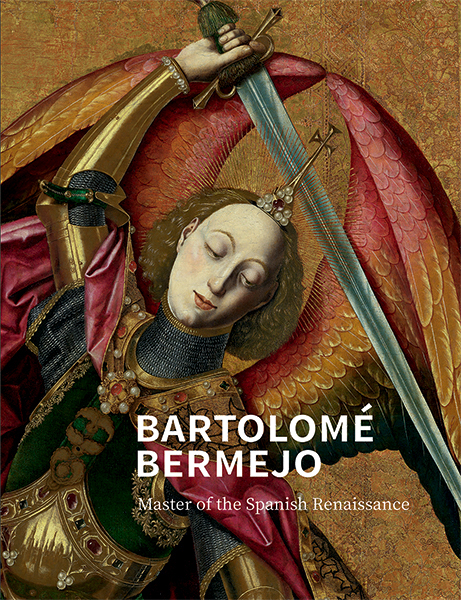 Following the painting’s detailed technical examination and restoration, the authors provide a fascinating account of this rare work, accompanied by high quality new photography and placing the painting in the broader context of Bermejo’s career in 15th-century Aragon. Letizia Treves is the James and Sarah Sassoon Curator of Later Italian, Spanish, and French 17th-Century Paintings at the National Gallery, London.